Reactive targets must be properly shrouded at all times. Reactive targets must be approved by the board of directors. Holsters may only be used by qualified individuals; or, those undergoing training under the supervision of a qualified instructor. Ammunition is not permitted on the firearm safety tables. 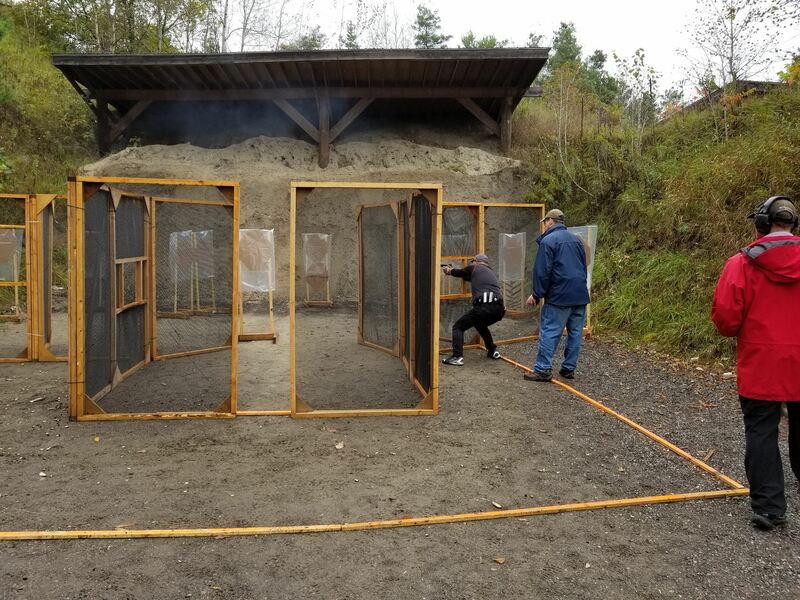 Dry firing is permitted at the firearm safety tables. Empty mags are permitted for dry fire use at the safety table. Members must remove shot targets and clean up the range after use. Members and authorized groups who are training for specific shooting disciplines such as biathlon, or 50 Meter 3 Position rifle, may do so under the direction of an RO.